Fenerbahce plane makes an emergency landing – Kenyatta University TV (KUTV). All Rights Reserved. 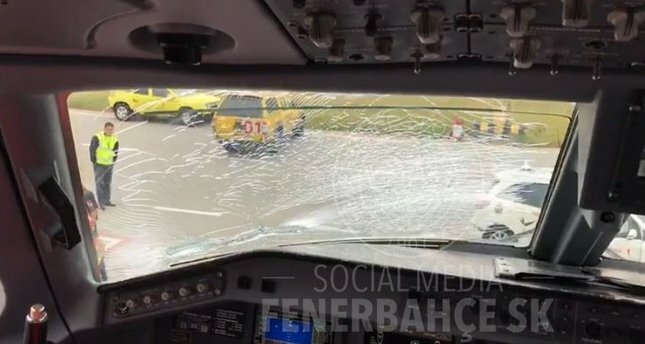 A plane carrying Turkish football club Fenerbahce to play a Europa League game against Manchester United was forced to make an emergency stop in Budapest Wednesday due to a ruptured windscreen. “A Borajet 195/200 long range type of aircraft, registration number TC/YAT, made a successful emergency landing here shortly after midday,” Budapest airport’s spokesman Mihaly Hardy told AFP. Fenerbahce are scheduled to play a Europa League Group A match at Manchester United on Thursday. The plane reported “loss of cabin pressure due to a ruptured windscreen” after an unknown object hit it, Hardy said. The club added in a statement from Istanbul that a bird had hit the cockpit window.